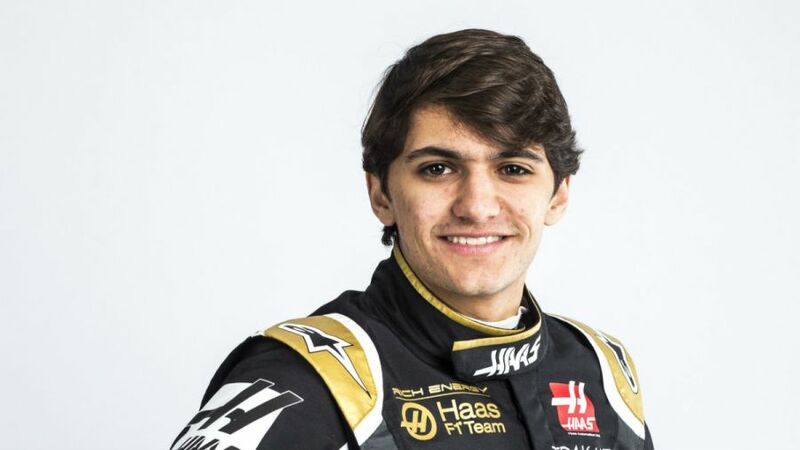 Brazilian racer Pietro Fittipaldi, grandson of double Formula 1 world champion Emerson, spoke to GPFans recently about becoming the official test driver for the Haas F1 team, what his responsibilities will include, and what his long-term plans are beyond 2019. The 22-year-old has recently recovered from breaking both legs during last May's World Endurance Championship event at Spa-Francorchamps and gained open-wheel experience in 2018 driving for Dale Coyne Racing in IndyCar. Last month, Fittipaldi attended the Formula E rookie test in Marrakesh, where he drove for the Jaguar team, for whom his close friend and compatriot Nelson Piquet Jr also drives. Taking some time out from his schedule, Fittipaldi explained to Rob Watts how the Haas opportunity first came about. "I was meant to drive [with Haas at the in-season test] in Hungary in July, but because of my accident, I couldn't do that. I stayed in touch with Gunther [Steiner], with the team, and Gunther actually lives in North Carolina and I was living there as well," Fittipaldi told GPFans. "Towards the end of the season we stayed in touch, he was checking up on how I was recovering and how I felt when I got back in the car. We went for lunch one day [in October] and then that's when he offered me the role for this season. "We had [been in contact] since basically the beginning of 2018. Initially, it was my uncle, Max Papis, who introduced me to Gunther in 2016. I was going into 2017 and he said 'go win that [Formula V8 World Series] championship and then we'll talk' so then I won the championship and that's when I started speaking to them again." Fittipaldi explains that he'll play a crucial role with Haas on race weekends by helping the team to optimise race setup in the simulator, but also expects to get some track time in during the season as well, starting with this month's official pre-season test in Barcelona. "I'll be the test driver for the team, so basically how it works is F1 teams nowadays have a very limited amount of testing. I think maybe taking a guess here but I'd say like 12 days a year. I'll be testing throughout the year, probably four of the days," said Fittipaldi. "The main work will also be a lot in the simulator which the teams do a lot, so for example, if there's a race weekend [coming up], on the Wednesday and Thursday I'll be on the sim testing whatever they want to test before the weekend and then I'll be flying out to the race after the work there. "I think I'll be in the car [in Barcelona testing], the team hasn't confirmed yet, but I'm quite certain I'll be in the car." 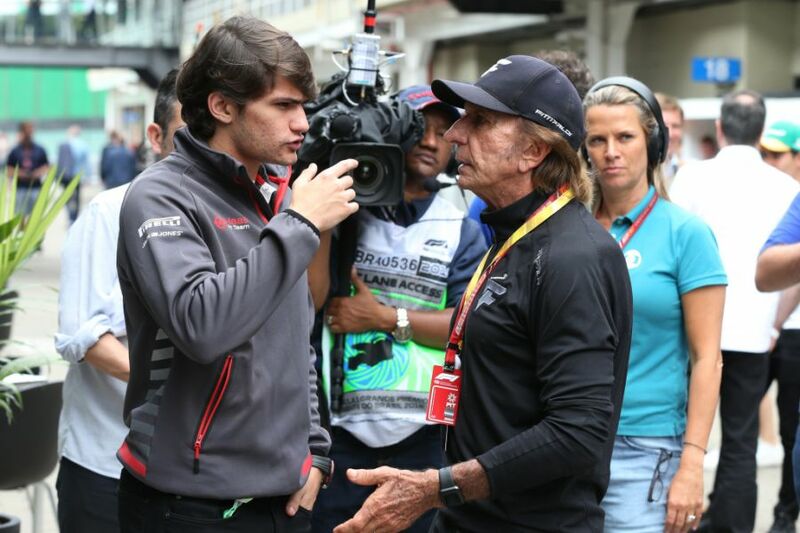 With no Brazilian drivers on the 2019 F1 grid, Fittipaldi hopes that there could be an opportunity to make that step up in the coming years, but he adds that he must start by impressing Haas if he is to progress any further. "Yeah, of course, the goal is to make it to Formula 1 as a driver, the goal isn't just to be a test driver, the goal is to be [on the grid]. 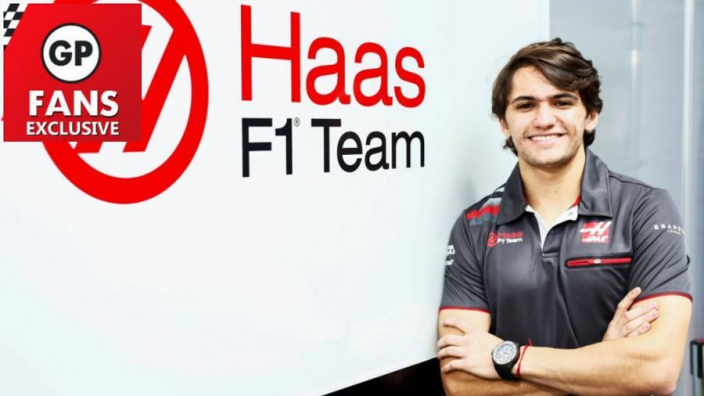 But I'm taking it step-by-step, that's why I'm really focused on what I have to do with [Haas] and I want to make sure I do a great job," said Fittipaldi. "For sure it helps [being Brazilian] to open doors. For Brazilian people, they want another Brazilian driver in Formula 1." With younger brother Enzo currently part of Ferrari's young driver academy, Fittipaldi acknowledges that an association with an F1 team is important for anyone with aspirations of making it onto F1 the grid, but maintains that it's still as tough as ever for young drivers to take that final step. "My brother did an amazing job last year, he won the Italian F4 championship, so he's in the Ferrari junior programme and I think, for sure, if you're in one of those programmes it definitely helps. It helps a lot," said Fittipaldi. "It sort of paves a road for you. If you do well, you start winning F4, F3, F2 and then the programme helps you get into F1, you already kind of have a foot in. So yeah, for sure, those programmes help, but Formula 1 has always been extremely difficult to get into. I mean, that's why it's every driver's goal and dream because [every young driver] wants to race in Formula 1." After contesting six rounds of the IndyCar championship last season, Fittipaldi explains how difficult it was for him to return to such a high-performance car so soon after his accident at Spa, and says that although he'd like another shot at IndyCar someday, a return this season is unlikely owing to his F1 commitments. "Coming back from my accident initially was really tough because I came back, my left leg was still quite fractured, so it was only two months after breaking both legs and trying to brake my first race back was really hard. I was in a lot of pain, but then every race that was going by my leg was healing more, getting stronger," said Fittipaldi. "The thing with IndyCar, I would love to do it full time, [but] it wouldn't be possible with my role with Haas because there's only a certain amount of days I can miss if there are clashes with my calendar. "Maybe I could do a couple of races or something but that's not something I'm looking into. If I want to do IndyCar I want to do it properly, like a full season, you know? Last year was great with Dale Coyne and I loved working with the team, having Sebastien Bourdais also as a teammate, and we were quick. "This year my main focus is going to be with Haas and if we do race something it's going to be hard to do [any other championship] full season. We still haven't decided yet but my main [focus] is the Haas role."